This is our MailChimp review. What is MailChimp? MailChimp is one of the best emailing marketing services on the market. MailChimp helps you build your mailing list and perform mass mailing services. With MailChimp, the email marketing service is free up to certain amount of subscribers and monthly emails sent. MailChimp is one of the best emailing marketing services on the web. 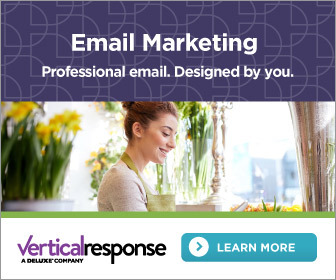 It's one of the many email marketing service in a crowded market with Aweber, Ontraport, and Vertical Response offering similar email marketing services. MailChimp's free service is what makes them special. In addition, MailChimp helps build your brand and your mailing list. They offer landing pages, templates, follow up emails, host giveaways, and try to generate sales from abandoned carts. MailChimp makes the whole process very simple. It's the perfect entry-level mailing list building tool and mass mailing service for small businesses who are just starting off. In addition, you can connect to Facebook, Wordpress, BigCommerce, Shopify, and WooCommerce. The setup and user interface is probably the easiest of all the emailing marketing services on the internet. Do we think it's the best email marketing services on the market? Let's find out. MailChimp email marketing service helps you automate your mass mailing services. The service helps you create drip campaigns for new subscribers, client orders, product launches, and more. For example, after a visitor signs up, you can send a welcome email. You can schedule the welcome email one day after or instantly after the new subscriber is imported into MailChimp's list. In addition, you can target subscribers based on their past actions. For example, you can send baseball hats products to customers who bought a baseball jersey in the past. With Mailchimp, you can increase revenue by knowing and understanding what interests your customers. In addition, MailChimp's ads easily helps you reach a wider audience on Facebook, Google, and Instagram. MailChimp email mailing service comes with mobile responsive templates. It helps you save time with your mailing list if you don't want to build one from scratch. MailChimp has pre-made templates for every different event or industry. You can just pick the template and add a little branding then you're done. However, you can create your own custom email template to fit with your personal brand. The options are endless. With MailChimp, there's a simple drag and drop editor for custom templates. You can easily add an RSS feed to your newsletter to help with traffic to your site. There's no coding experience necessary or complex coding needed with MailChimp's email marketing service. They're probably have the easiest and intuitive user interface out of all the emailing marketing services. I would have to say MailChimp does make it easier than Aweber to put together emails. There are some really confusing mass email services in the market. I think MailChimp's simplicity and free service makes them the best email marketing services for those two reasons. MailChimp's drag and drop editor blessing in disguise for email marketing service. It really simplifies the process and you can send test emails to see how it looks in an inbox. Also, you can test how the email looks on different screen sizes like a laptop, tablet, or phone. All you have to do is change the view on it. This is something that should be included in all the best email marketing services in the industry. With MailChimp, they'll let you know if your image is too large for a screen. For example, it'll notify you if your 6000x3000 pixel picture is too big to use for an email. In addition, you can add a subscriber's name for an extra personal touch with simple shortcodes. They seriously has made email template building simple. MailChimp email marketing service is the hippest of all the mass mailing services. They have a dashboard where you can track all your pictures and other content. In addition, you can easily organize, add and delete them. It's a really simple user interface and it's really well design. How does that make MailChimp the hippest? Gifs. MailChimp has an inventory of gifs you can add to your emails to be more engaging to your subscribers. This definitely makes them stand out among those who are consider the best email marketing services in the market. They know how to speak to millennials who happened to use their products. There's not many mailing list service that has spoken to Millennials. Could we consider them one of the best email marketing services yet? MailChimp has simplified your mailing list collection process with their signup forms. 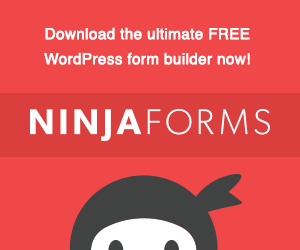 You can build your own form or use one of their signup forms templates. It's easy process to go through and you can add a signup form in less than 5 minutes. In addition, MailChimp can be integrated with Facebook and Wordpress website with a simple API. What's better than collection email via Facebook? The forms come in various options like popup or embedded forms. You can easily copy and paste code to add to your website or blog. MailChimp integrates with all the major players on the web. They have integrated their mass mailing service with BigCommerce, Shopify, and WooCommerce. WooCommerce is the property of Wordpress. 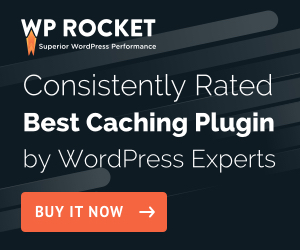 It's Wordpress's eCommerce plugin to help users turn their blog into a full-blown eCommerce website. Read our Best eCommerce Platform recommendations here.